Perhaps you enjoy protein shakes in or out of pregnancy, or your diet is deficient in protein, vitamins, minerals, or calories, and you need a boost. If so, learn what you need to know about protein shakes in pregnancy and choose your product with care. Make sure your protein shake has only safe ingredients, and your doctor agrees you can include them in your pregnancy nutrition plan. You find it difficult to eat enough protein foods or get enough calories in your diet to fulfill recommendations. You tend to eat unhealthy snacks. Drinking a small, low-fat, low- sugar protein shake or two will fill you up so you can avoid the temptations. Your appetite is poor and you are not gaining enough weight. You have morning sickness that makes it hard to eat certain solid foods. Your doctor recommends adding protein shakes to improve your nutrition. It is important to know that if you have no problems with eating or gaining weight during your pregnancy, don't use protein shakes as a substitute for eating a variety of healthy whole foods. In addition, examine the list of ingredients before you buy a brand of protein shake. When you are pregnant, it is more important than ever to know everything about what you eat or drink to ensure it is safe, for your baby's sake and yours. 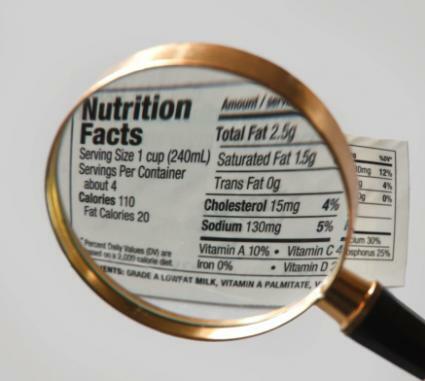 Scrutinize the nutrition label to find out if a protein powder or pre-made shake is safe to use during pregnancy. While some products may be a good source of protein, minerals, and vitamins, many contain questionable additives. The following are the important things you want to know about your protein shake. In decreasing order of measures of protein quality and amino acid content, egg albumin is first, followed by whey, milk, casein, and soy, based on a review in the Journal of Sports Science and Medicine. Note that, according to the Mayo Clinic, though whey is not known to cause increased problems during pregnancy, it is associated with a risk for multiple medical problems, including diabetes, heart, bowel, and liver problems. Some products have a high percentage of protein while others are low in protein content compared to other ingredients. Choose a brand where the main protein source is listed as the first ingredient, otherwise you might just as well be consuming a sugared smoothie instead of a protein-based shake. Look for products with 10 to 20 grams of protein. A 2012 Cochrane Library database review suggested high levels of protein supplementation might be associated with a risk of small-for-gestational-age babies. A 2014 review in the American Journal of Clinical Nutrition also suggested high protein supplementation (40 grams a day) might cause an increased risk for low birth weight infants, preterm births, and stillbirths. Many brands of protein shakes are high in carbohydrates and various types of natural simple sugars, such as corn syrup. Some have sugar listed as the first or second ingredient. This can add a lot of empty calories to what should be a healthy drink. In addition, if you are at risk for gestational diabetes or are already diabetic, the added sugar load could cause problems for you and your baby before and after birth. Choose a brand with less than 10 grams of sugar per serving. Most protein shakes contain beneficial vitamins and minerals that are important in pregnancy. However, it is difficult to know the source of these micronutrients. In addition, you might be already taking an iron tablet and a multivitamin your doctor prescribed for you. Ensure your protein shake is not loaded with vitamins and minerals that are already in your doctor's prescriptions. Too much of certain vitamins, such as vitamin A, could harm you and your baby, including increasing a risk of birth defects. Many protein shakes, including the known product Ensure, have additives and preservatives; artificial sweeteners such as aspartame, maltodextrin, acesulfame potassium, and sucralose (Splenda); and unknown artificial flavors and herbs that might be harmful to your baby. Avoid a shake or protein powder that contains any of these additives. Enjoy a healthy protein shake or two if your diet is protein or calorie-deficient during your pregnancy, or as a healthy snack if it fits with your doctor's recommendations. If you enjoy drinking a protein shake even if you don't have a nutrient problem, do so in moderation. A 2013 Harvard Health Letter notes you might get too much extra sugar and too many calories if you add supplemental nutrient drinks to a normal calorie intake. In addition, if you diet is already high in protein, the extra protein load could tax your kidneys and renal function in pregnancy. Pregnant women with diabetes or high blood pressure may be especially at risk for these problems. Also take care not to add high-calorie or high-sugar ingredients to jazz up your protein shake. Adding lots of fruits can turn your shake into a high sugar smoothie. According to a March 2016 Harvard Health Letter, processing fruit breaks down the plant cell walls, causing quick release of all the sugar. This is in contrast to eating the whole fruit where the sugar is released over time. Be sure to check with your doctor to see if he agrees that protein shakes are a safe and healthy part of your nutrition plan during your pregnancy. Ask your doctor or midwife for recommendations on product to buy.